It is named Austen Authors, begun by Sharon Lathan and Abigail Reynolds. They have contacted 20 contributors of Jane Austen fiction which will be contributing to their new group blog. “Starting on September 6, daily blogs posts will be put up, celebrations of new books going into stores will be had, and for the launch month of the blog, many giveaways and contests will be held!”, writes a publicist from Sourcebooks to me, and I wanted to be sure to spread the word so you could have a chance to win. Previous Post Dickens’ Writing: Can I Tell You How Much I Love It? Bellezza, thank you so much for mentioning Austen Authors on your lovely site! It's been a wonderful beginning for us, with lots of fun, familiar faces, and many new friends. Our celebration doesn't end anytime soon – it will continue throughout the entire month of September, so please come and say hello! We'd love to see you! And don't forget to check in this Saturday when I will be posting the transcript of my interview with You-Know-Who! Find out the real reason Austen Authors accepted this debut author! Coffee and a Book Chick, I'm so glad that this new Austen blog suits you so well! It seems full of things for the Austen fan, and I'm looking forward to exploring her work further than I have through this venue.Sharon, it's my honor to share the news about your new blog; what an endeavor you have undertaken! 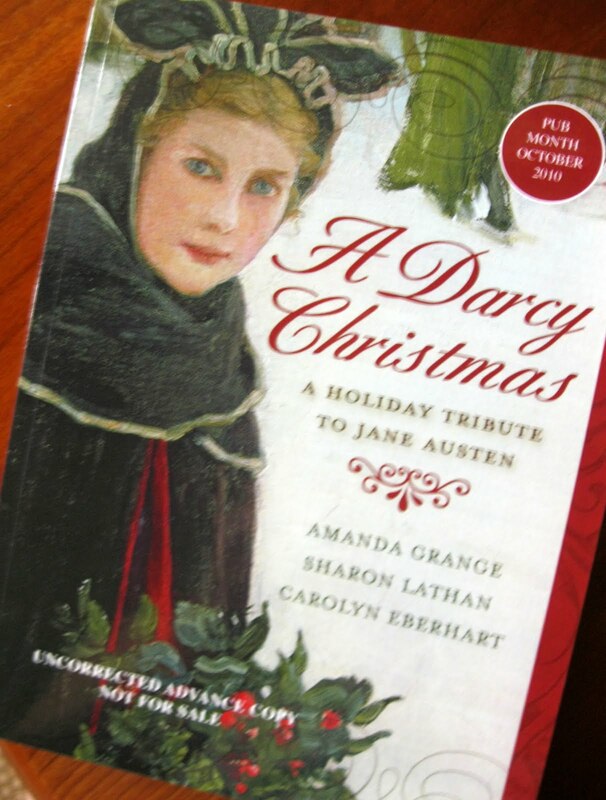 I'm looking forward to A Darcy Christmas; the only other work I've read in Jane Austen style is Mr. Darcy, Vampyre which was surprisingly thrilling to me. (Usually I don't veer far from the original author. ;)Susan, I saw a veritable plethora of comments the last time I visited your blog. It's getting a lot of attention and praise, which feels so good as one of the writers of a blog. I wish you every success from September 2010 on!Cindy, now you've picqued my interest over an interview with You Know Who (because I don't, for sure!). I'll be by Saturday. Molly, besides that the novel will be in Austen fashion, I think we're all looking for a little Christmas (at least I'm one for snow and holly)! I'm glad you stopped by and found this site. A new chapter in all things Austen! It sounds lovely! I enjoyed reading Confessions of a Jane Austen Addict, my first Austen spin-off. Thanks for the heads up Bellezza. I've just come back from Bath, and while there, searched the sites mentioned in Persuasion, and a great time I had 🙂 Just posted my visit there. Yes, what better way to celebrate Christmas than with anything Austen! Marie, doesn't it look fun? Especially for Austen fans, but also for those of us who'd like to know more.Suko, the only Austen spin-off I've read is Mr. Darcy, Vampyre which I thought would be weird and instead was rather charming.Arti, I'd love to go to Bath! I saw photographs of Jane Austen's writing desk, and they were so charming. And, this new book to review definitely has put me in the mood for Christmas. In September! Thank you for the link to the new blog. I might need to make 2011 the year that I reread all of my Austen favorites!